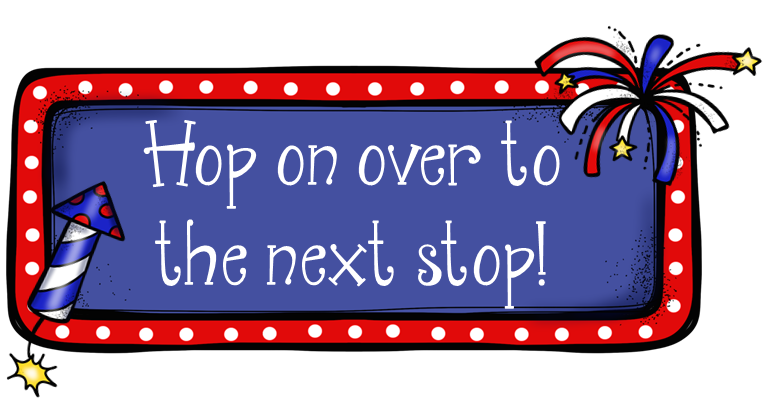 Lectura Para Niños : 4th of July Blog Hop! Hello friends! I am so happy to participate in this Blog Hop with my fellow Bilingual Teachers! I hope you enjoy! Please make sure to click from blog to blog and enjoy the freebies from each page! Our family always gets together every year to celebrate at my sister's house to enjoy time together, a great barbeque and fireworks. She lives in a community where we are able to still light our own fireworks. We keep it to the safe ones, but when we're done, we get to watch the rest of the fireworks from the neighbors. It is a great time by all. Soon we're all taking a trip to Costa Rica! I can't wait to blog about our time down there. This will be the first out of country trip for our family, so we're all pretty excited! I am so happy to participate in this Blog Hop with my fellow Bilingual Teachers! I hope you enjoy! Please make sure to click from blog to blog and enjoy the freebies from each page! Here is one of the most useful phonics centers I have created so far! I have been using these centers in my classroom for many years and finally have created a freebie of this activity for you. I hope you like it. With each theme, your students will study 2-3 new letters and created words that can only be created using these specific letters. Each theme will become increasingly more difficult for those students who are ready to move on. As the students move from theme to theme, they will be able to read any word given to them that have the basic syllables. My students have successfully learned to read using this phonics center. Click on the HERE to download your FREEBIE! Click HERE if you would like to see the complete version of this center! Click HERE if you would like to see the ADVANCED Phonics Center in SPANISH! Also... My TPT store will be 20% off all weekend! I hope you all have a fantastic 4th of July weekend!!! Click on the BLOG HOP picture below to go to THE DUAL TRIO!